This week is anti-bullying week. The theme is #chooserespect. One of our core values. 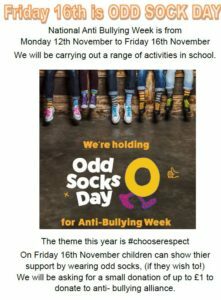 We will be carrying out a range of activities throughout the week and showing support for individuality on Friday with Odd Socks Day.